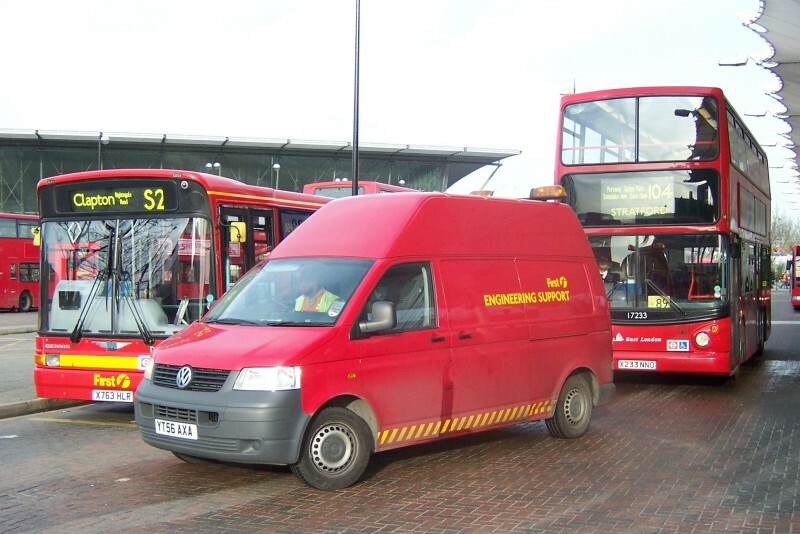 Details: YT56AXA is a high-roof VW Transporter van used by First London in the engineering support role and lettered accordingly. It was seen at Stratford Bus Station on 22nd January 2008. Originally based at the nearby Hackney garage, it presumably moved to the new 'Lea Interchange Depot' at Temple Mills in December 2007. Compared to similar but low-roofed VW Transporter YR05BGK (which was also based at Hackney) the yellow side markings are noticeably smaller.